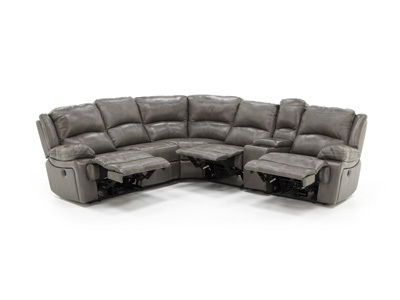 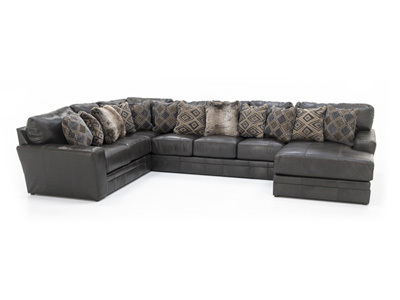 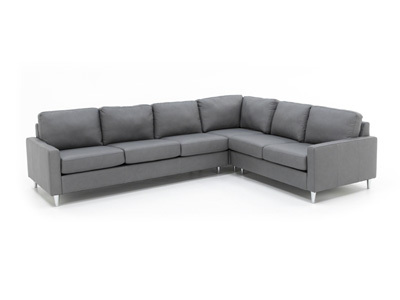 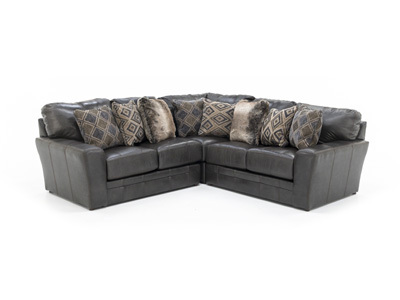 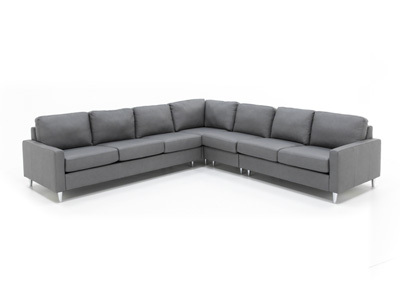 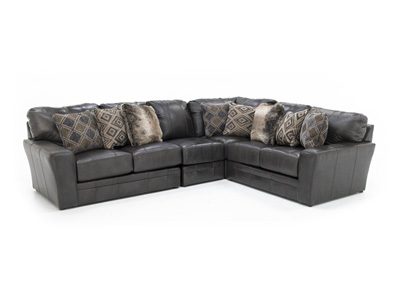 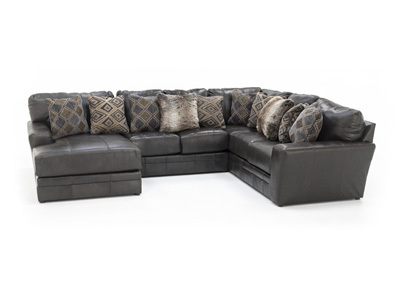 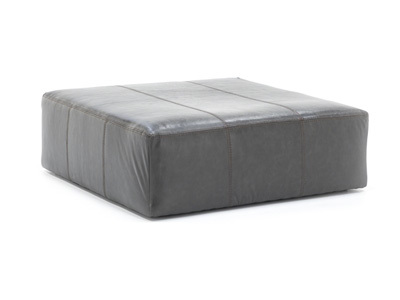 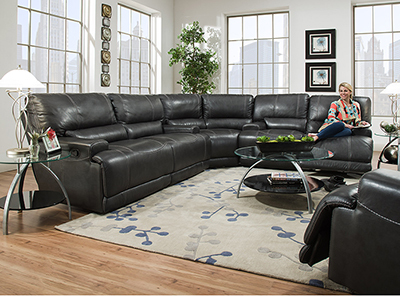 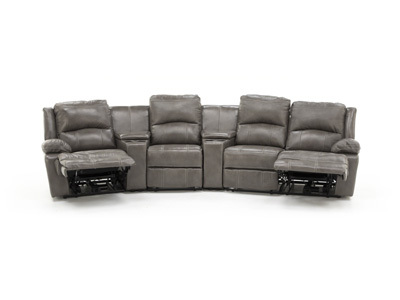 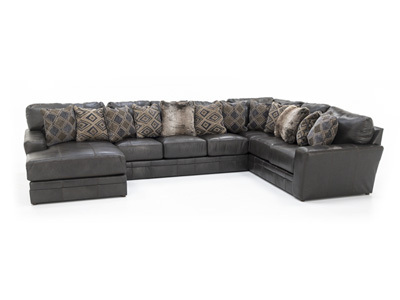 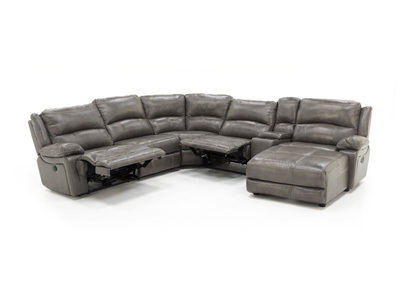 This two piece, upscale sectional is the ultimate combo of style and comfort for your modern home. 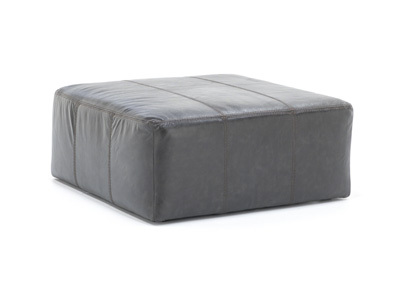 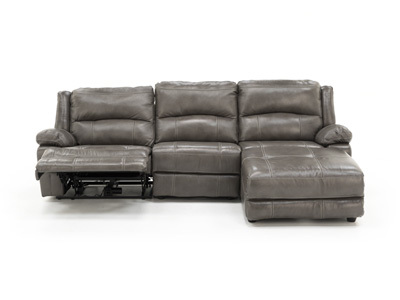 It features plush pillow backs, track arms and luxurious deep seating. 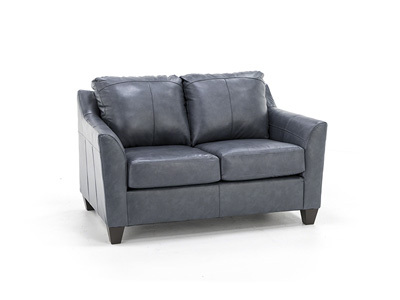 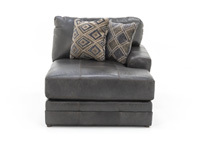 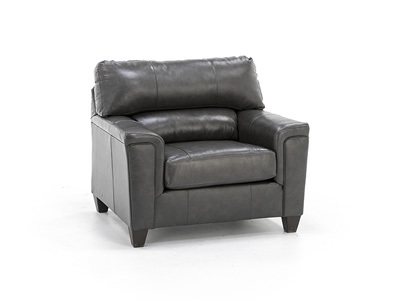 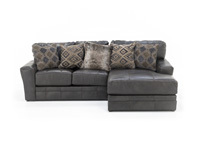 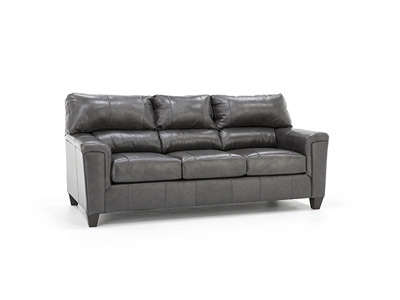 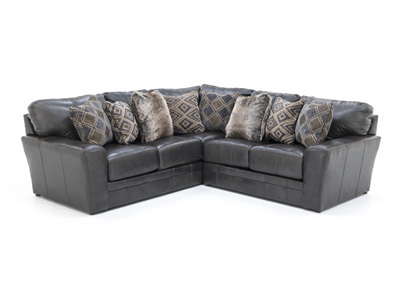 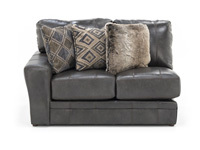 Create a look of enticing warmth with the rich grey leather seating, and pillows with unique designs and faux fur.